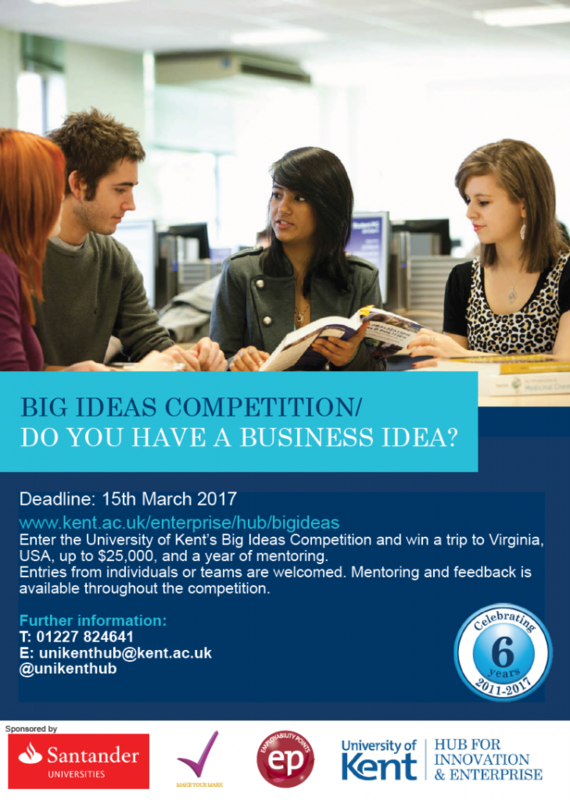 Enter the Big Ideas competition with the Hub for Innovation and Enterprise! Big Ideas is a competition where students are evaluated on a business idea and pitch. Business ideas may come from any sector, including social enterprises, and the competition welcomes students from all degrees of study. A winning student, or team, will represent the University in the prestigious VT KnowledgeWorks Competition in Virginia, USA in August 2018, with a chance of winning $25,000! Transportation and accommodation will be provided. The winning student or team will also receive a working space on the Hub for Innovation and Enterprise Start-Up Scheme, all services/rents paid for one year, as well as a business mentor from Santander Bank. Students can submit entries individually or work in teams. More than one entry can be submitted by a team or individual. 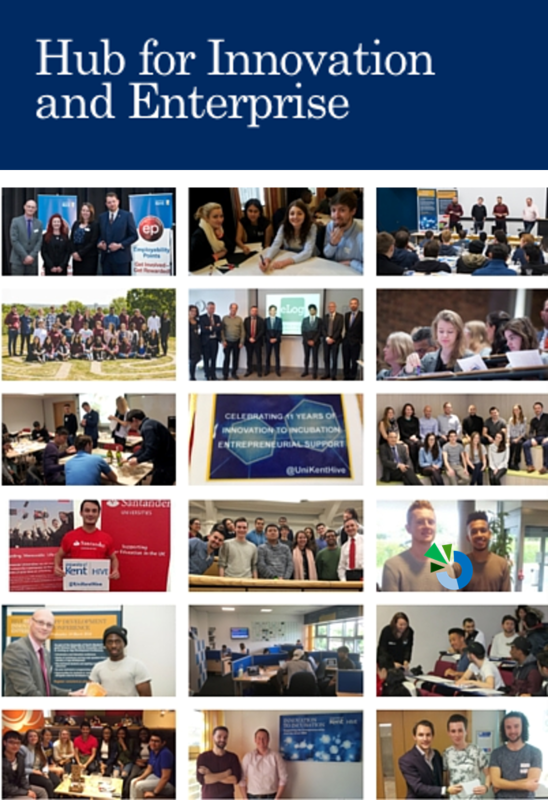 Students can seek advice from the Hub for Innovation and Enterprise team throughout the application process, this includes business advice sessions. The deadline for the initial business plan submission is on the 28th February. Put your thinking cap on and start generating some ideas – remember to be innovative and think BIG. Read on for a guest blog post written by Saga Rad, a former winner of the Big Ideas competition. Ever wondered what it would take to set up your own business? Got a fantastic business idea that you want to develop? Or, simply want to add to your CV? 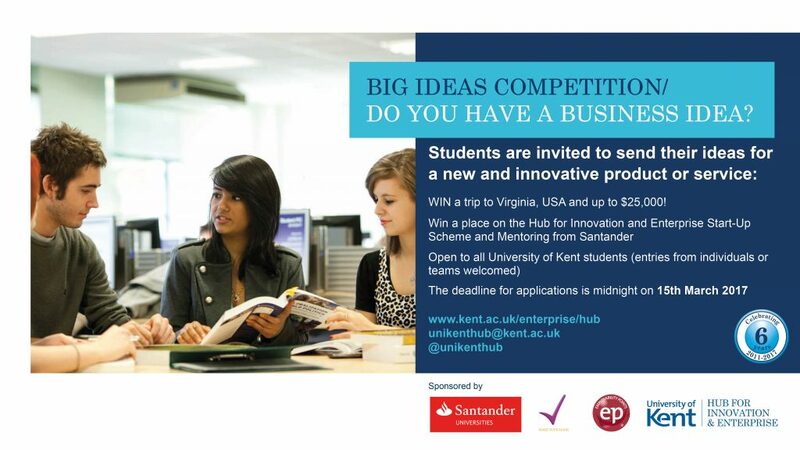 The University of Kent’s Hub for Innovation and Enterprise is the place for you! You don’t need to have any prior business knowledge, all you need is the willingness to learn! We would strongly advice all students to take part in the online module as it is relatively easy to complete and looks great on your CV! For more information, please visit: https://www.kent.ac.uk/enterprise/hub/. You can also read Josh Clarke’s blog post, written in his capacity as the student ambassador for the Hub, on why you should get involved.